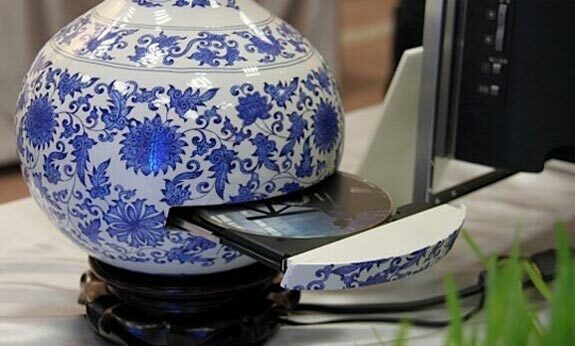 Everyone knows how unsightly a PC looks next to your stylish media unit, Taiwanese PC manufacturer ECS has the answer with the ECS Vase Nettop PC. They have managed to cram a full nettop PC inside a vase, inside in an Intel Atom 230 processor, NVIDIA ION Graphics 1GB of RAM a 2.5 inch HDD and a Blue-ray drive. It also has two USB ports, Ethernet and HDMI built into the bottom of the vase, it then goes on a stand so you can’t see the cables. 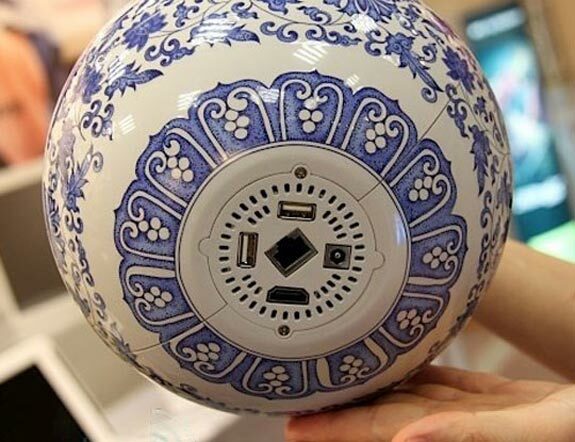 Whilst this isn’t the best looking vase around it is a clever idea, and gives us an idea of how future nettop PCs could integrate into our living rooms without anyone realizing they are there. I just hope the Mrs doesn’t see this otherwise she will make me swap my media centre PC for one of these.